Spring cleaning is not just about taking out a mop and duster. At a time of year where our outside spaces are changing and growing is also an opportunity for our interiors to blossom too. Rather fitting for the season, pink and green are two big colours that make an impact alone or paired. 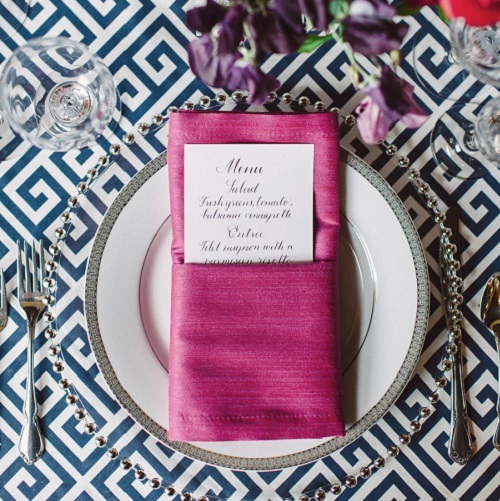 They can be used in their softer pastel forms, or pack a punch with darker tones. When it comes to houses, first impressions do matter! A deep green shade like this one pops against white for a clean cut, sophisticated look that is still playful. 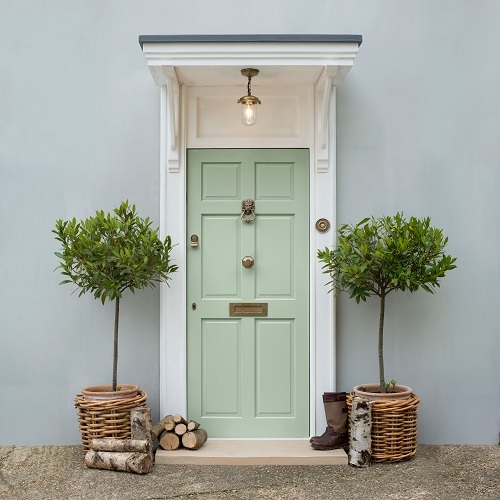 Painting your front door for Spring will lift up the entrance to your home, and lets be honest, who doesn’t want to be proud of the space they’re stepping in and out of every day? Combining a new colour with matching quality door furniture like our Matt Black range will instantly transform the exterior of your home. Add some fresh foliage of your choosing and you’re set for the sunny season ahead. Our Holborn’s are suspended effortlessly in this modern pastel kitchen. We love seeing what our classic designs bring to more contemporary spaces. 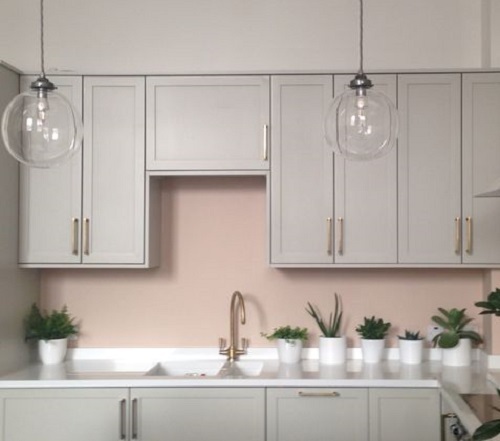 Blush pink is a delicate update for a space that is normally reserved for black or white. House plants add a touch of green for a natural feel. Black and distressed metals are hot on this years interiors agenda, but the Luxe Metallic trend doesn’t have to be reserved for contemporary or industrial spaces. 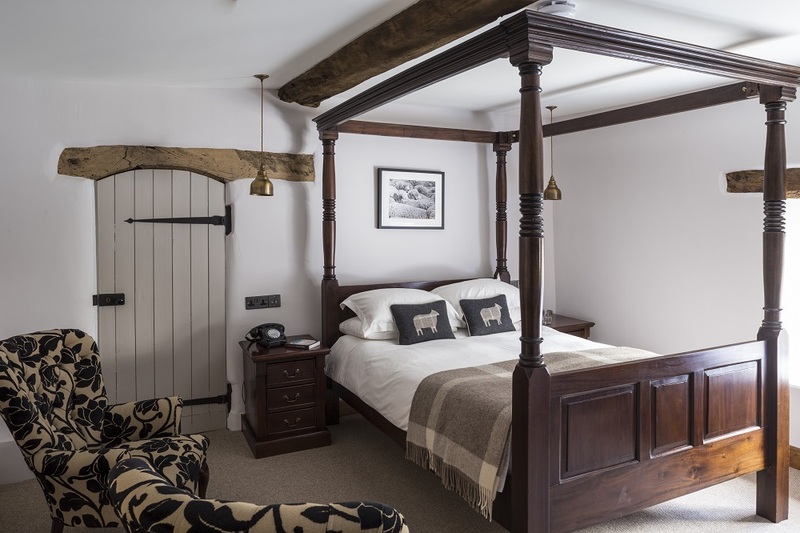 We’ve collected some of our favourite interiors and exteriors that bring both matt black and tarnished metal to the fore in a way that can be effortlessly translated into your modern country home. 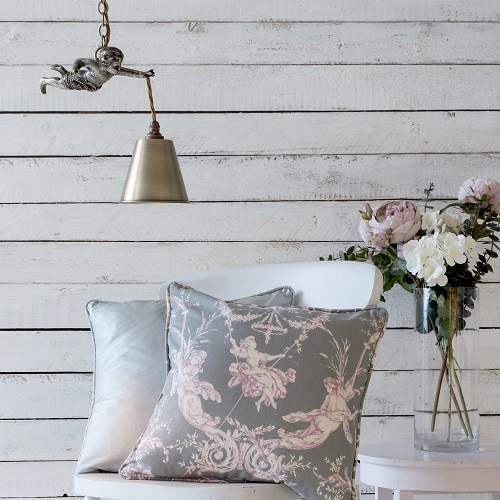 These trends aren’t always built to last, but we think this year’s big look of using a sophisticated metallic colour palette within your home is a timeless classic. 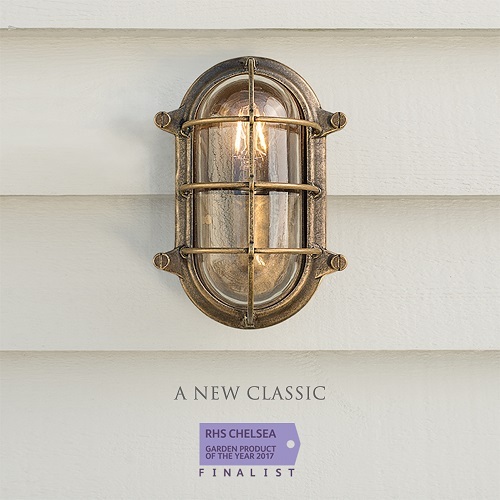 Our antiqued brass, forged iron lights and matching accessories help to add a luxurious metallic finish to any room. When looking to the exterior, there’s no need to forsake style for function. Create graphic silhouettes for elegance outside as well as in with a hand finished matt black. Combined, bold black and tarnished gold tones create a touch of luxury to both contemporary and traditional interiors. It’s easy to understand the enduring appeal of Matt Black door furniture. This hard wearing, durable finish is the perfect choice for creating a timeless and sophisticated look – all you need to make a lasting impression. Your front door is the first thing yourself, your guests and potential buyers might notice. A well lit porch is a good start. Statement outdoor lanterns are an inviting addition and define the entry to your castle. 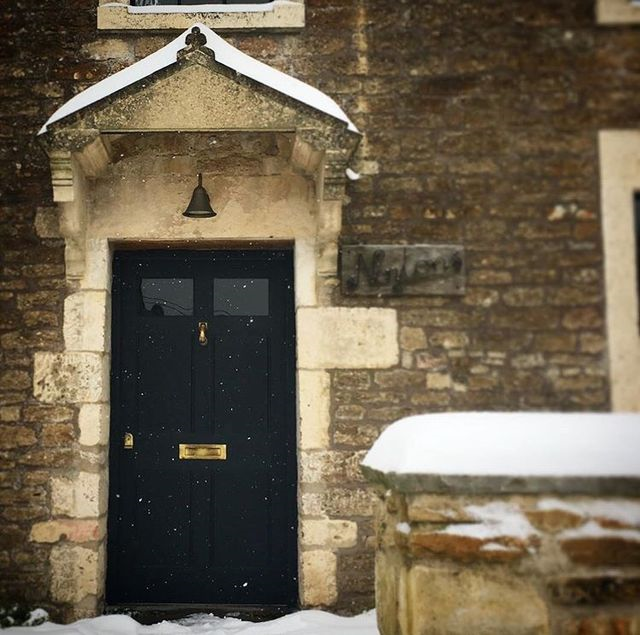 We love the use of a single Boathouse light to brighten up this bold black doorway belonging to @thisoldcottage. The kitchen is not just a space for food preparation. It’s a meeting place where you and your family cross paths at breakfast, lunch and dinner. Sometimes it is where you share coffee with friends, pour a glass of wine after a long day and where the kids sneak into for a midnight snack when they have sleepovers… It’s a room where memories are made. Without a thoughtful approach to the lights these rooms can end up feeling the opposite of how they should – which is inviting, relaxed and looking delicious. It’s a multifunctional space that needs multifunctional lighting. We love a statement pendant over the island. The Butler Rise and Fall is our go-to show stopper, styled above by Humphrey Munson (photographed by Paul Craig) and matched with brass details. Seemingly small details like door pulls and knobs make a real impact when chosen carefully. Chalky ‘off-blacks’ and grey blue tones also encourages the brass to pop, making the whole room design feel considered and cohesive. 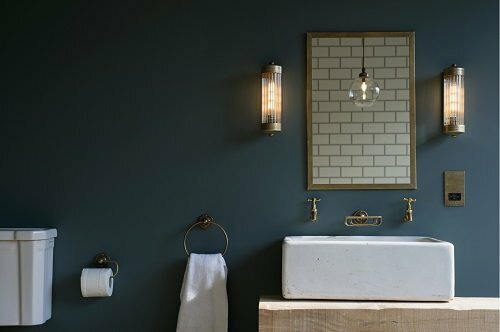 After the launch of our deluxe Bletchley bathroom range, we simply had to create a post about our inspiration behind the collection. At Jim Lawrence we thrive on recreating classic designs and giving them a new lease of life with modern twists. 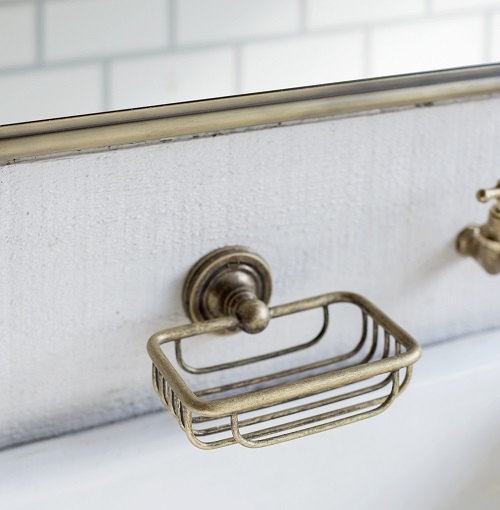 The warm brass detailing of our new Bletchley range is the perfect choice for an effortless and stylish bathroom update. 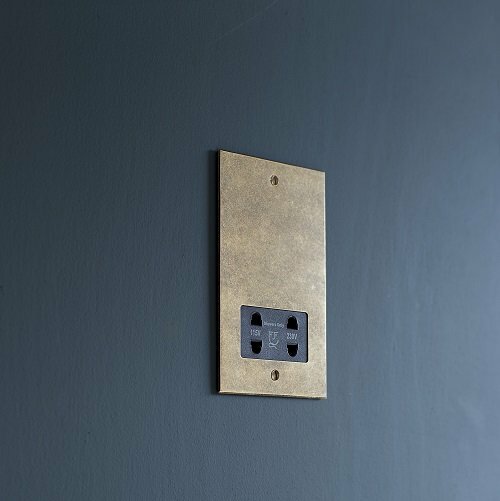 The vintage appeal and ongoing trend is not lost on us, so we’ve treated the range with lacquered antiqued brass to make sure they stand the test of time physically as much as they do aesthetically. Bathroom décor can sometimes be a place of untapped beauty. We believe they should exude as much comfort and style as your bedroom so that your bath soaks are spa-like and your morning routines calm and invigorating. 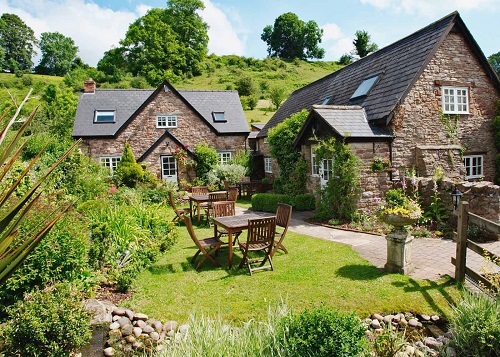 Why shouldn’t you feel as pampered in your own home as you can in a swanky hotel? The Bletchley collection is a good place to start. Start small. You don’t want to spend time revamping your room only to be left with some unsightly sockets and light switches. Our Antiqued Brass Shaving Sockets are a practical but pretty solution to make sure every element of your bathroom is up to scratch! No one wants to be blinded by spotlights first thing in the morning or in the middle of the night. 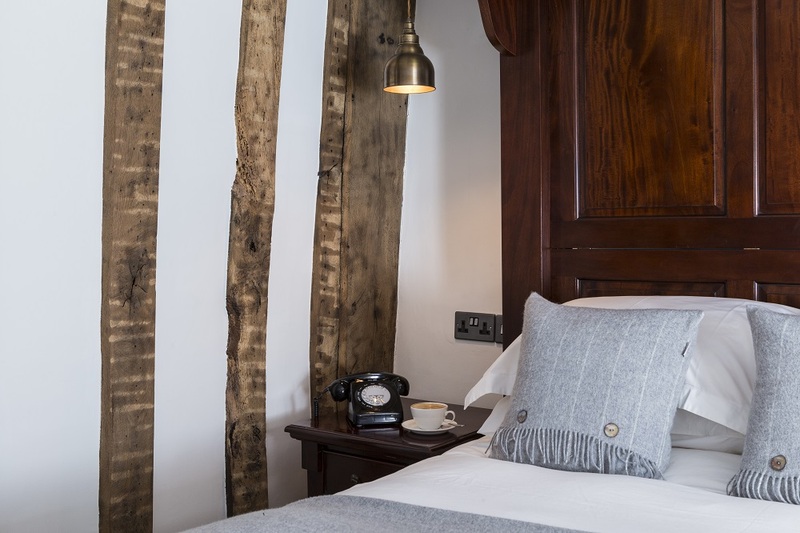 Soft wall lighting is essential for that lovely hotel feel. 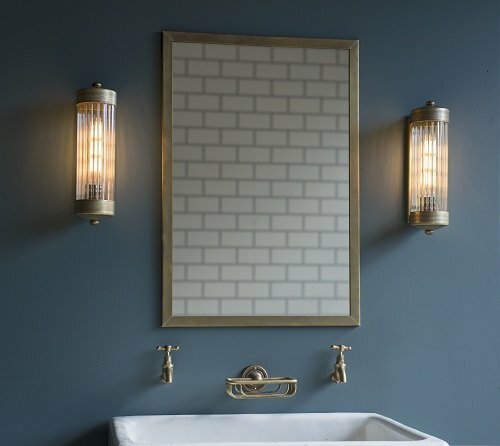 We recommend the Cheltenham Wall Light to line your mirror for a warm glow. 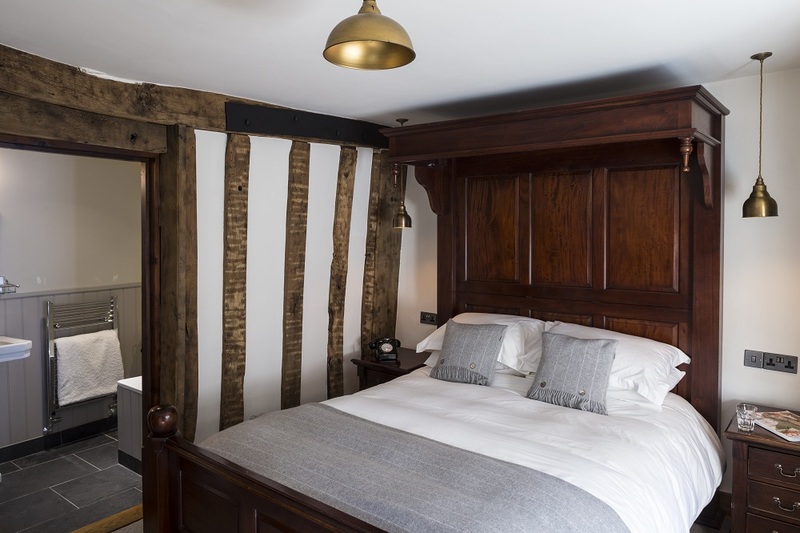 Alternatively, as used in Melford House with the Hinton, try placing the light lengthways above for a unique old-timely look. We love the luxury that pendant lights naturally bring into a space. Thanks to Pinterest there are thousands of gorgeous images of free standing tubs and chandeliers to take our fancy. 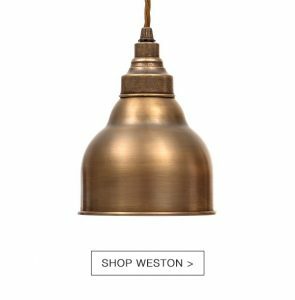 For a more minimal but nonetheless graceful addition to your bathroom, why not include our Holborn Pendant Light? 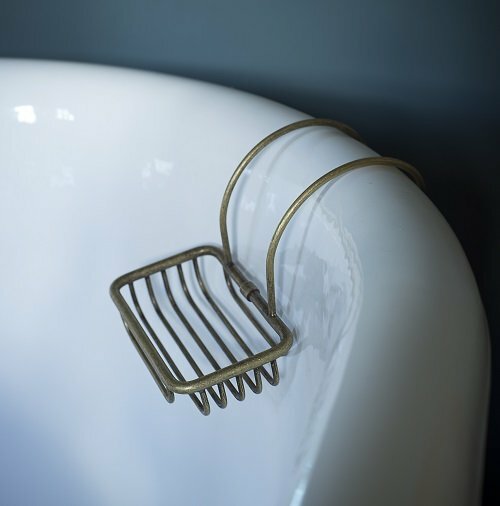 Suspend above the bath for truly sophisticated styling. Though an eclectic or maximalist feel can work with soft furnishings – we suggest matching accessories in a bathroom setting. Everyone is different, but a consistent style makes us feel a little more relaxed. 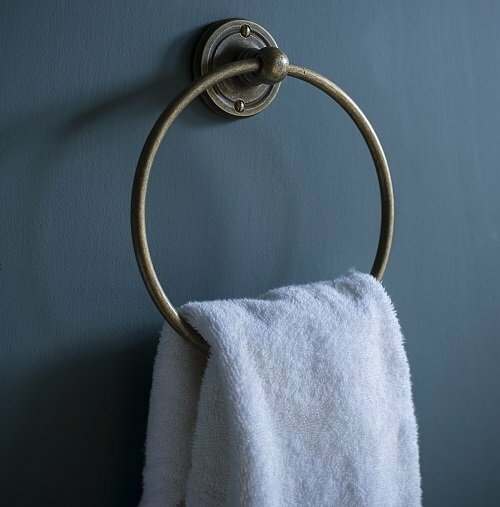 The Bletchley Towel Ring, Soap Basket and Loo Roll Holder all have one thing in common: elegance! The period styles are curved and traditional, together creating the vintage look you are after but without any rust staining on your towels and tubs. You shouldn’t have to totally redecorate to update a room. With the rise in dark interiors continuing to spike, but traditional white still a popular go-to, we wanted to make sure the Bletchley range would suit any lick of paint. As you can see, it does! Now all you need to do is light some candles and pop open the bubble bath… See more of our bathroom collections here. 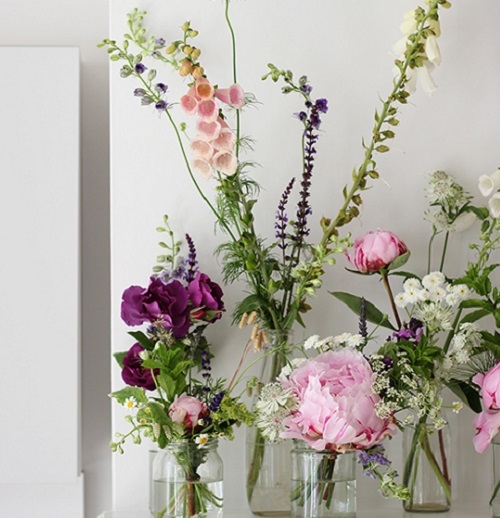 Have you added some of the Bletchley collection into your home? Tag your images on Instagram or Twitter with #JimLawrenceMade or email to press@jim-lawrence.co.uk.so we won’t miss out. If you want to learn more about the Antiqued Brass finish and how to care for it you can find out more here. What about adding the other elements of a vintage-style bathroom? 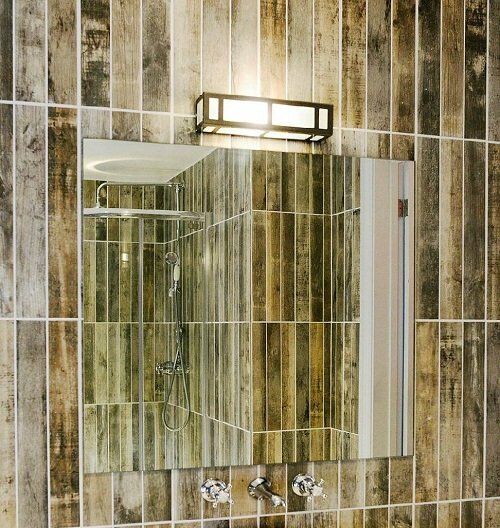 We think metro tiles in the shower, reclaimed glass bottles for display and decoration, plus some carefully selected artwork will really inject your own personality into the room. 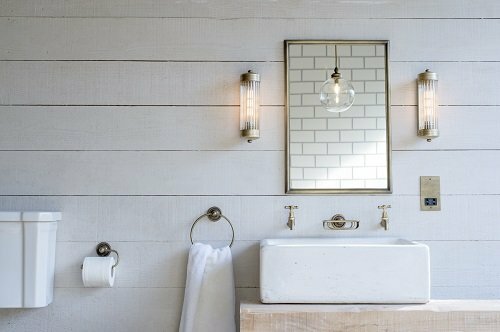 Don’t forget to take a look at our Vintage Bathroom Inspiration Pinterest board where we’ve added in some more interior ideas that we love! We’ve had a wonderful year at Jim Lawrence, and are thrilled at the opportunity to give something back to our loyal customers. Enter our competition below to be in with a chance of winning a brand new Slate Grey Pendant Light of your choice. The deluxe grey will be a stylish addition to any home, bringing with it the subtle retro twist that we love here at Jim Lawrence. 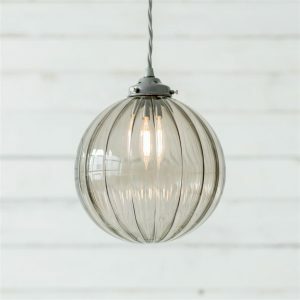 It’s the perfect pendant to liven up a kitchen or dining room for the New Year. The winner will be selected at random and announced on the 15th of January, 2018. Have a wonderful Christmas break and we shall see you next year. By entering this competition you acknowledge and agree that if selected as the winner your name email address will be shared with Jim Lawrence for the purpose of fulfilling the prize. The promoter of this competition is Jim Lawrence Traditional Ironworks Limited (“Jim Lawrence”). This competition is only open to residents of Great Britain aged 18 or over, excluding employees of Jim Lawrence and their families or anyone professionally associated with this promotion. Customers must enter the competition in their own name and not on someone else’s behalf. Illegible, incomplete or corrupt entries will be invalid. For details of the winner’s name and county, please send a SAE to Marketing, Jim Lawrence Ironworks Ltd, The Ironworks, Lady Lane, Hadleigh, Suffolk, IP7 6BQ. The winners’ name may be published on Jim Lawrence social sites for the purpose of announcing the competitions closure. You must be 18 years or over at the time of entry to enter this competition. The competition closes at midnight on 14/01/2018. The Winner will be selected on the 15/01/2018. Balmoral Pendant, 1x Slate Grey Barbican Pendant, 1x Slate Grey Lexington Pendant OR 1x Slate Grey Wharf Pendant. These are the only pendants available in the slate grey collection. The winner’s will be randomly drawn from all eligible entries following the close of the competition and will be notified via the email address held by the within 30 days of the closing date. If a prize is not claimed within a period of 7 days after notification, we reserve the right to select an alternative winner and shall have no liability in respect of the entry initially selected. Christmas is coming! We all know that the days leading up to Christmas are usually full of rushing and there is hardly enough time to locate the most treasured gifts. We thought we’d get on top of things and bring you 12 Jim Lawrence gifts ideas for the big day. 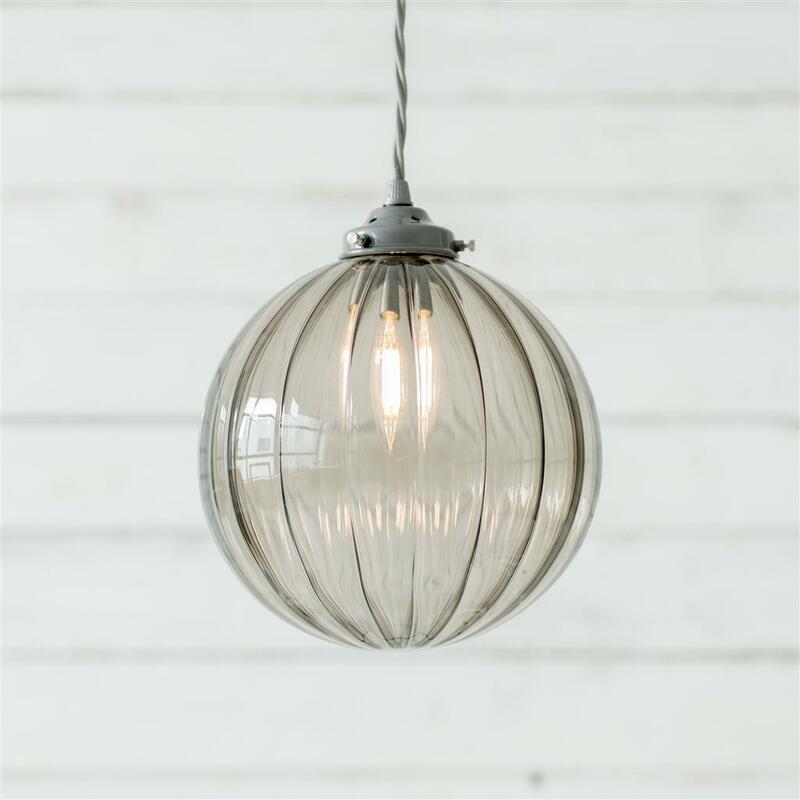 Light up your loved one this year with an elegant pendant light. We have a huge range of styles to fit into any interior. Not one for the stocking! Bring some personality into the home with one of our unique fabric shades. Not only do we offer a huge range of colours and textures, we also cater for personal made to order styles. Whatever your loved ones taste we have you covered. Storage solutions like hooks might not seem like the most glamourous gift to give, but they will thank you when there are places to hanging the guests coats when new years eve parties come around. Another idea for those with an unsightly ‘floordrobe’ (usually teenage family members), the Berwick Clothes Rail is a stylish option for untidy rooms. A perfect treat for those who enjoy crafting. Any of our fabrics can be turned into your choice of home furnishings and would be lovely as a pair of curtains, a blind or to upholster a chair. The perfect way to celebrate our unique British heritage. Our mirrors are hand forged and high quality – an everlasting gift to enhance any space. Top tip: placing a sconce or wall light at eye level on either side of the mirror avoids unwanted shadows and creates the best light for tooth brushing and makeup application! Some of our most popular products fall within the Door Knocker category! Christmas is all about bringing joy, and coming home will be made even better by a stylish welcome such as these. 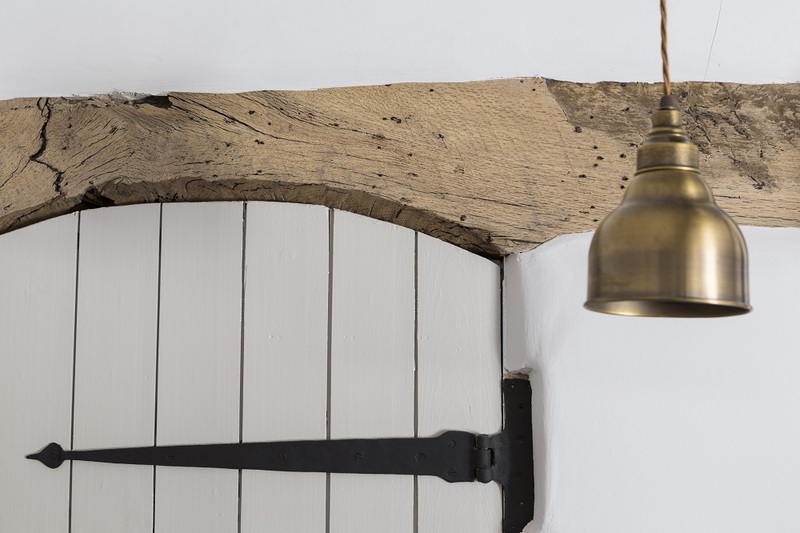 If a pendant isn’t their thing, perhaps a wall light might help to lift their spirits. Alternatively, for a wonderful treat to go with a family photo try a Picture Light to ensure you’re always looking as sharp as possible. 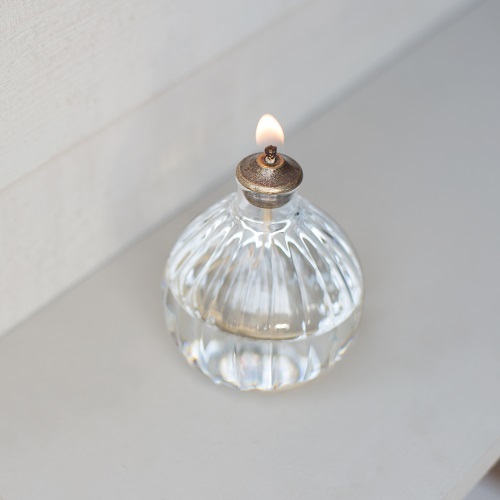 Whether you are after slim dinner candles or thicker chapel styles we have a variation of both. Our candles not only look beautiful; our supplier gives a contribution from each sale to the Charity SPICMA. SPICMA has been running since 1967 and assists with the building of schools, hospitals and clinics in deprived and war torn areas all over the world. That’s what Christmas is all about. Something to accompany the wreath. A numerical gift to bring a magical touch to the front door all year round. The final touch to a perfect holiday. Christmas won’t be Christmas without a roaring fire to warm your toes by. Our Peyton Fire Dog will be the perfect companion to your mince pies and mulled wine. Browse our Christmas section on the website for even more ideas. We would love to see any pictures of your Jim Lawrence Christmas! Tag your images on Instagram or Twitter with #JimLawrenceMade or email to press@jim-lawrence.co.uk so we won’t miss out. Still curious? Why not browse our Christmas Pinterest board for extra inspiration. When many of us think about coloured glass, our minds are taken back to the setting where we were first introduced to the idea; beautiful stained glass in churches. In the 50’s and 60’s the idea of using this coloured glass in the home for decorative items became a huge hit – well it seems that it is back again and not just with decorative items! This versatile and beautiful trend is all about showcasing your personality and having fun within your home. So, our design team sat down and had a brainstorm on how we could take this amazing trend and put our signature Jim Lawrence style stamp on it. Well, what better way to showcase the potential beauty of coloured glass than combining it with two of our popular pendants; the Fulbourn and Holborn Glass Pendant. We decided to go for soft and subtle colours to stay in keeping with the natural feel and look of our lights. 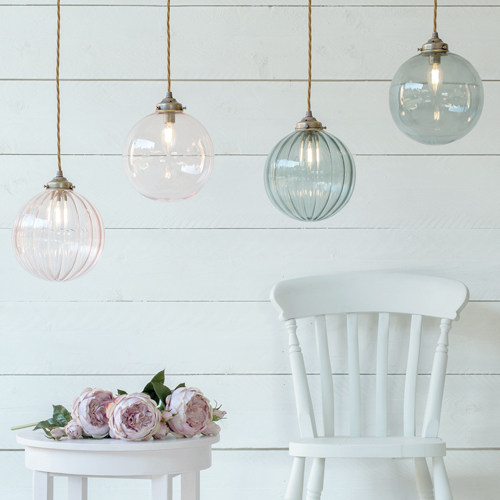 We now offer 3 coloured glass shades with our Fulbourn Pendants; Smoky Blue, Charcoal and Dusky Pink. The fantastic thing about using coloured glass is the ability to achieve various looks without having to change your whole decor. Each of the 3 colours we offer could be seen in a variety of settings. Dusky Pink would be the perfect addition to a little girls bedroom, vice versa for the Smoky Blue in the little boys room. Or perhaps you are wishing to achieve a slightly more sophisticated look in your study with the Charcoal shade. Team any of these lights with our amazing LED bulb range to see it in its true colours! Have you purchased any of our coloured glass pendants? If so then we would love to see them in their new home. Please send us a picture to press@jim-lawrence.co.uk. When our amazing design team produce the original drawings for a new product, it is rather exciting! We always adore them but we may be a little biased! So, we have no idea how they will be received, we just hope our customers love them as much we do. 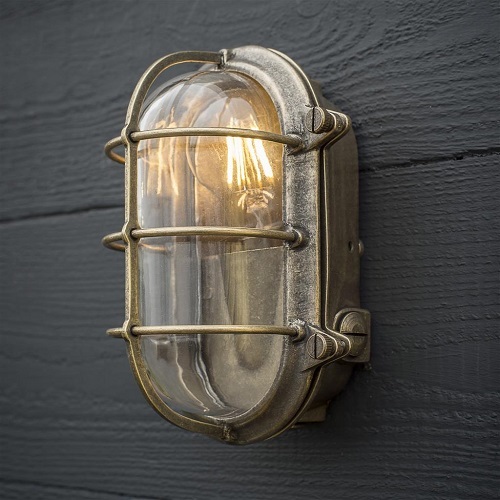 Well our Bulkhead Outdoor Light has certainly not disappointed, it has been loved by everyone more than we could even imagine. We are thrilled to announce that is has already been shortlisted for the RHS Chelsea Flower Show Garden Product of The Year! We have had such an amazing time at Chelsea the past 3 years and it is a true honour to even be shortlisted for this award. So what is this light all about? Well, Jim wanted to have something that could be both stylish and practical whilst concealing those rather unsightly exterior wires. 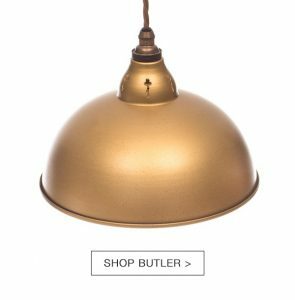 This light offers just that when combined with our solid brass conduit kit – it is a rather smart design! 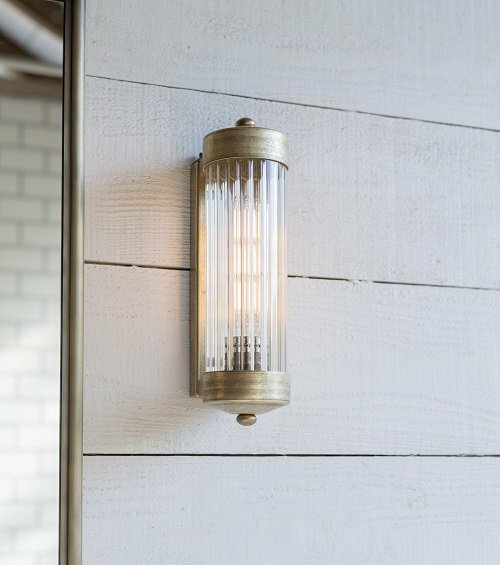 In true Jim Lawrence style, each solid brass light is hand finished with a light antiquing to give it that beautiful aging look that we love so much. This also means that there is no need to worry about this light not being able to handle our wonderful British weather, it is non-corrosive and will bring you many years of beauty. There really are no limits to this beautiful light, so why restrict it to just the garden? It is awarded an IP55 rating so it is also suitable for anywhere in your bathroom too! It would look truly magnificent in a nautical feel bathroom, so don’t be afraid to take it out of its comfort zone. It is also compatible with any of our beautiful LED bulbs which can last up to 7 years – bonus! What do you think of our Bulkhead Light? We would love to hear your thoughts, please feel free to email them to press@jim-lawrence.co.uk. Keep your eyes peeled for even more beautiful new products this spring. 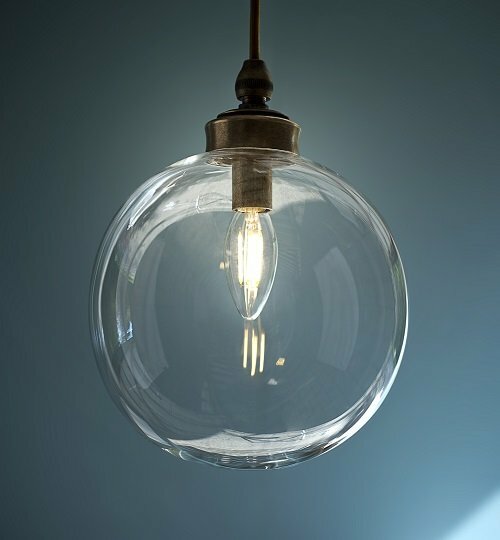 When it comes to choosing the perfect lighting for our homes, many people have previously put practicality as the number one priority and the look and beauty would more often than not fall to second place. We have seen the trends change dramatically over the years and it seems that many of us are now searching for something both equally beautiful and practical and we do not seem to be stopping at just the one essential light – hence the birth of our beautiful multi pendant lighting. 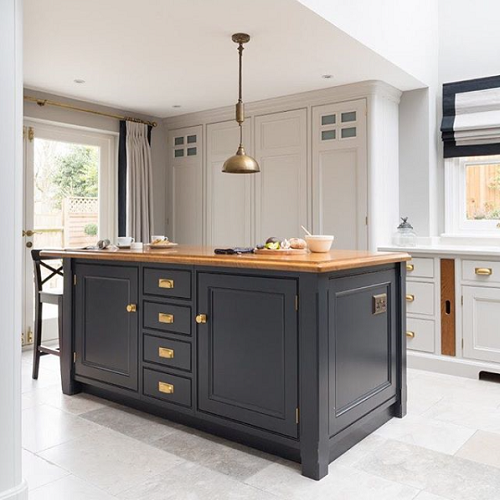 So many of our customers would love our products in a row of two or three above their kitchen islands however it would be a little tricky with all that extra wiring! So we have made life much simpler with our Track Multi Pendants. These provide a fantastic option for extra lighting whilst discretley using just one electrical ceiling entry point. This not only looks fantastic but you may have a much happier electrician! We heard such great feedback on these pendants that it led us to start thinking where we could take the multi pendant light next? 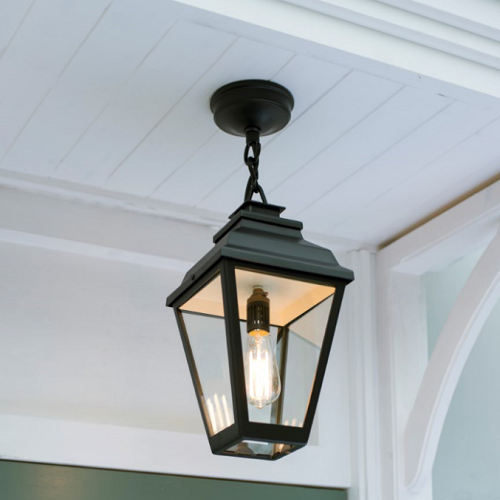 We thought about those large stairwells, hallways and landings that were crying out for some beautiful lighting and it was then that we decided to launch the Ceiling Pendant Rose. These are an elegant alternative to the straight track and they provide the option to adjust the heights of all three pendants. 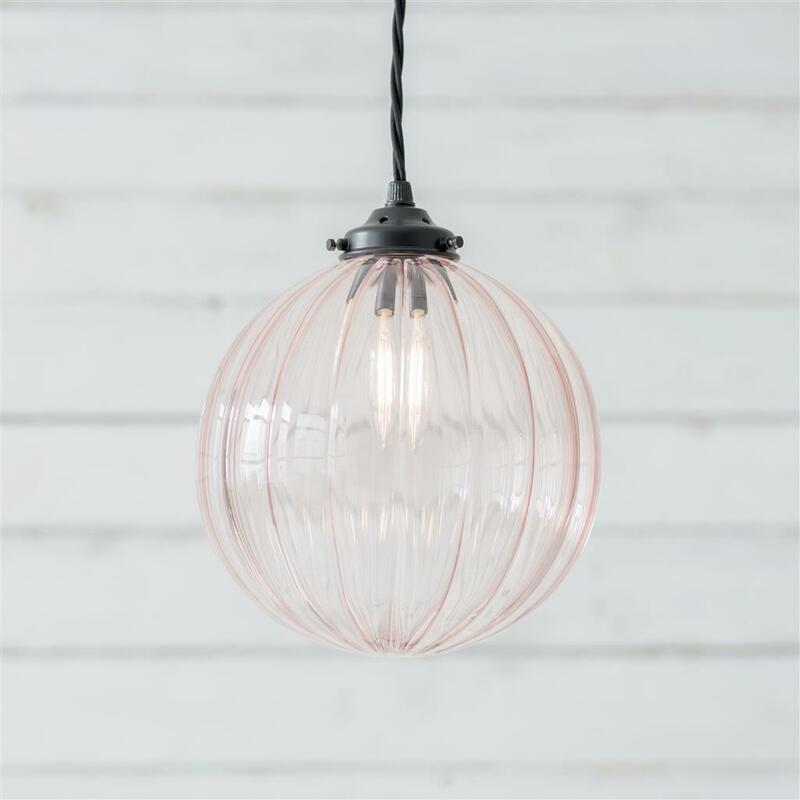 They are perfect for flooding those large spaces with light whilst making a bold statement. After popular demand, our most recent launch is the Ava Ceiling Rose Pendant. The Ava Pendant (who has two sisters; Orla & Mia) has been our most loved pendant to date and we just could not resist turning it into a multi pendant – what do you think?